This was a gift a friend kindly brought back from a trip to Der Guerrita in Sanlucar and a very welcome one too. 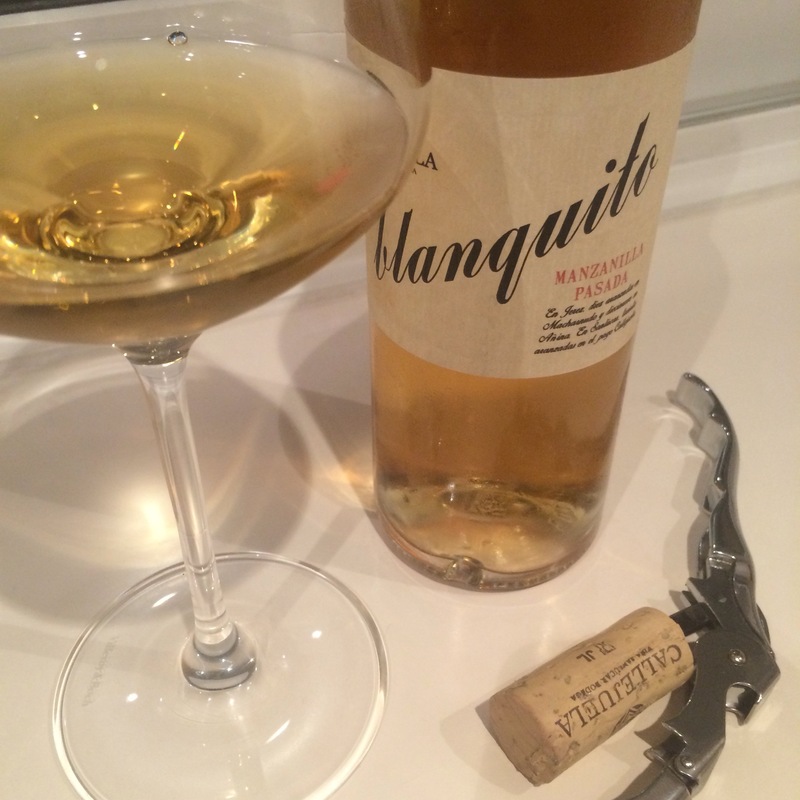 By Callejuela, one of my favourite bodegas, and by the hand of Ramiro Ibañez (in fact I have had it before). Love the fleeting aroma of apples from this first up – apples that ripe, juicy, maybe even starting to rot in the bowl. Then the minerals seem to take over – that sea air/ozone. I don’t find the apples again after a while but I get blossoms and flowers in amongst the seaside fumes. On the palate it is full bodied, saline, sapid and dry but with suggestions of those apples again – very nicely integrated – just turns bitter on the quite long, clingy finish. Mineral with a hint of fruit rather than the reverse. Enjoying this with Camaron de la Isla – a moment of superb tranquility.